Growing up Peruvian in Milwaukee, Wisconsin, thousands of miles away from my Father’s homeland, I grew up listening to my Papi’s marachsri music, singing songs in Spanish and learning about my family through picture albums as many were thousands of miles away. 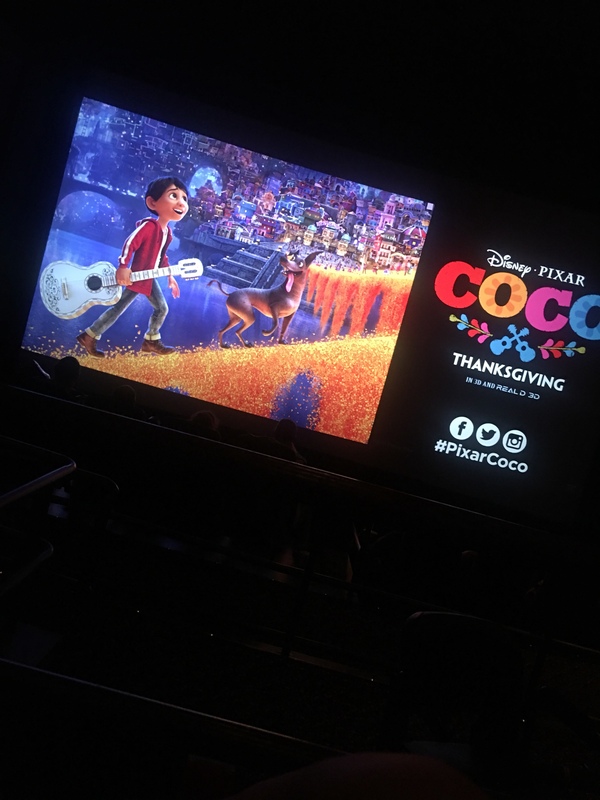 The memories of my childhood awakened the other night after watching the new Pixar’s Coco. Closing my eyes I was brought back to my childhood as the music lead me back to remembering my father, my Peruvian family and all the family that I came before me- everything that makes me who I am today. The story of Coco follows a 12 year old boy Miguel Rivera (voiced by Anthony Gonzalez) as he travels to the Land of the Dead. A movie that depicts Mexican holiday Dia de Los Muertos and the bridge that links the living and those who are not with us, maybe physically or through distance. His Great Great Grandmother Coco is very old and beginning to forget things. However, the only way those who have gone before us can come back to visit us on Dia de Los Muertos is if someone remembers you and adds you to their alter. He finds the Grandfather he thought was his only to learn more secrets no one ever told him. Had the stories and truths been past down, he would have known more of where he truly came from and what his destiny was to be. The movie focuses on the ancestry, strength of the family, forgiveness and unconditional love. It’s the love letter I wish I would have written to my father. Remembering where we cane from and those that came before us is an important piece to the puzzle of who we all are. The gorgeously depicted afterlife insinuates that those who have gone before us are in a much better place. The Mexican folklore is beautifully told through the eye of a child who realizes the afterlife, his family and his ancestors are all pieces to the puzzle that make him who is and help him retell the stories to the next generation. My father was there with me as I watched the movie- always in my heart, and never forgotten. It is our duty to pass along the stories, keep the memories alive and let the stories of the past live on. Thank you for the reminder, Coco. Learning How To Grand Beauty Spa + #MyHeroMom Mother’s Day Giveaway || Tampa Mama ? Pirates of the Caribbean: Dead Men Tell No Tales- New Look || Tampa Mama ? Flatout Bread #FlatoutLove on Chicagonista LIVE || Tampa Mama ?